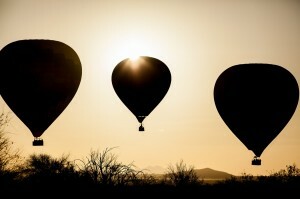 Ready for takeoff. Image courtesy of Float Balloon Tours. 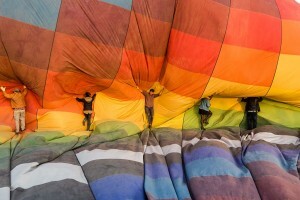 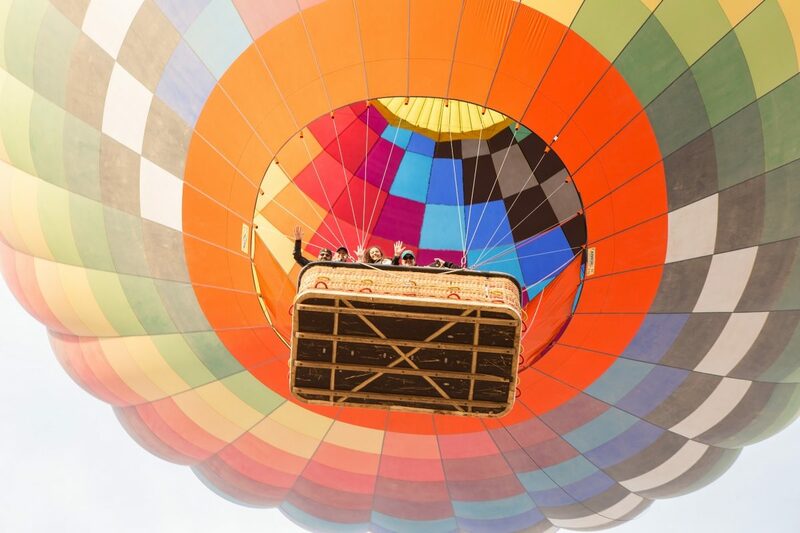 First comes love, then comes marriage, then comes a … hot air balloon carriage? 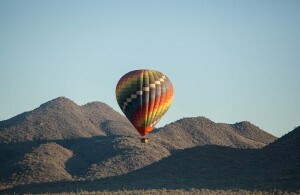 For Matt Cooley and Olivia Laux, owners of Phoenix-based Float Balloon Tours, that’s kind of how it went. 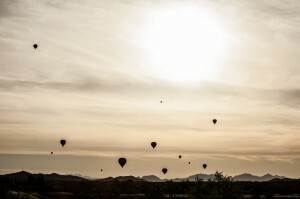 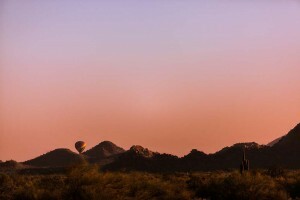 The recently engaged pair launched their boutique balloon tour company in 2013 as a way to highlight the natural beauty of the desert that sometimes goes unseen. 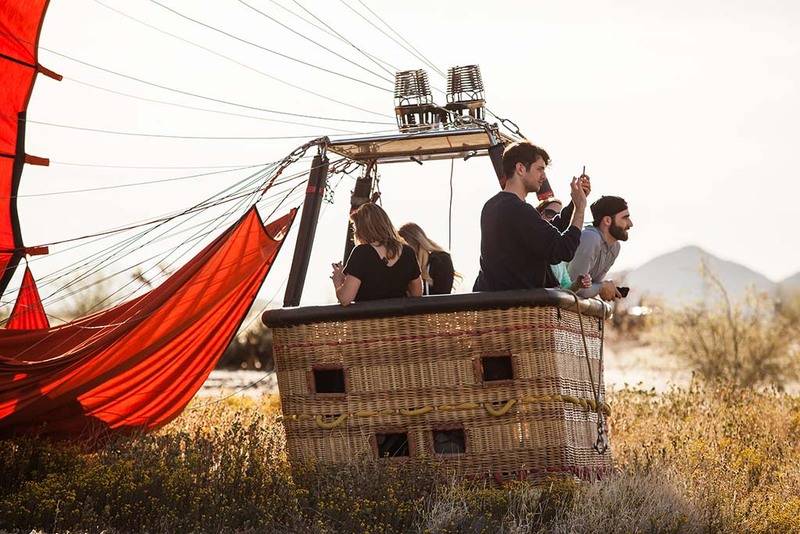 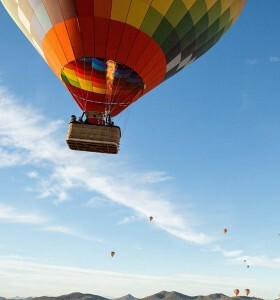 While ballooning is the main event, it’s what comes after that makes a Float balloon tour particularly unique — the hour-long voyage over the mountains and desert of Arizona culminates with a gourmet open-air brunch, prepared onsite. No box lunches here: A wood dining table complete with plates, silverware and gorgeous florals awaits guests disembarking their balloon. 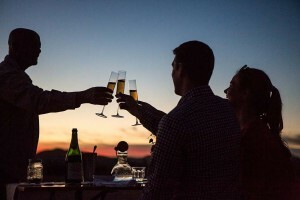 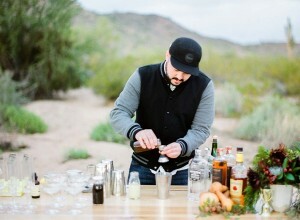 The local, seasonal fare is prepared by Chef Robbie Tutlewski of famed Pizzeria Bianco and paired with seasonal mimosas made with Arizona Hops and Vines’ sparkling wine. 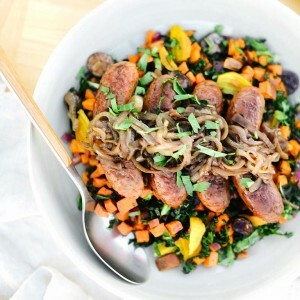 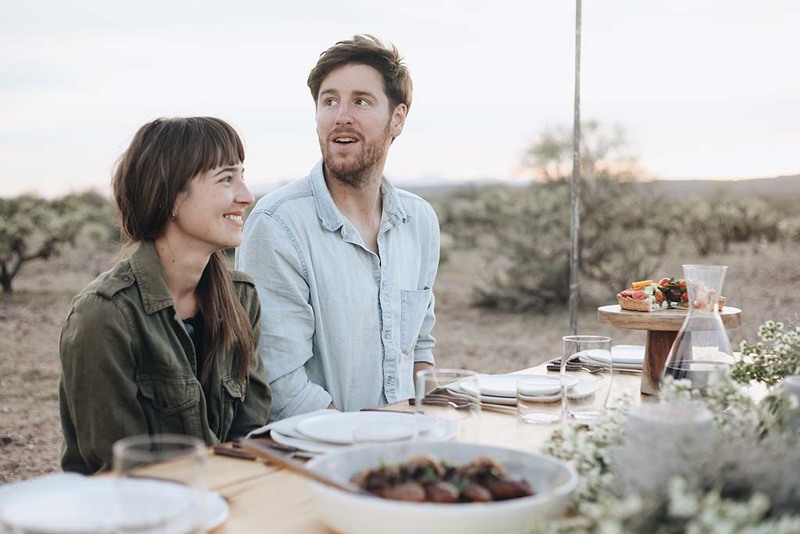 The meals have been so popular that Cooley and Laux are now looking to launch a series of standalone food projects. 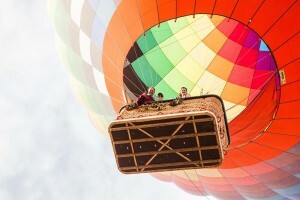 Float owners Olivia Laux and Matt Cooley. 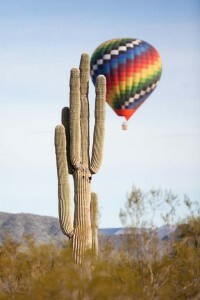 Image courtesy of Float Balloon Tours. 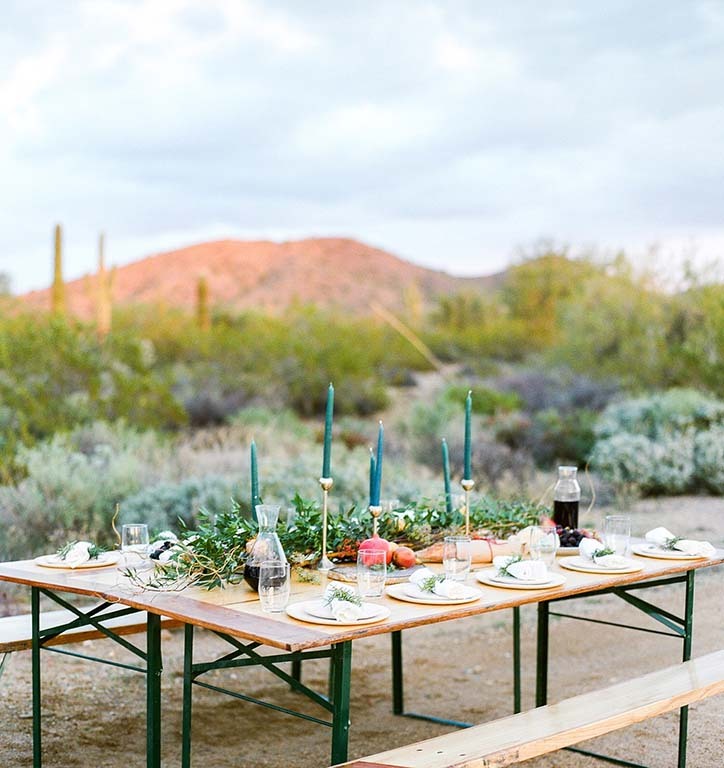 “We plan to bring different local chefs out and host collaborative chef dinners in the middle of the desert, preparing intrinsically desert meals that really speak to the area,” Cooley says. 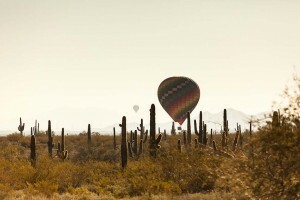 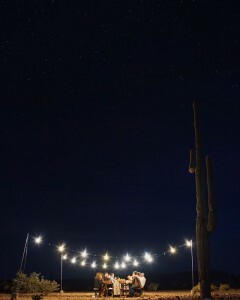 As for the hot summer months when the Sonoran Desert becomes less hospitable?